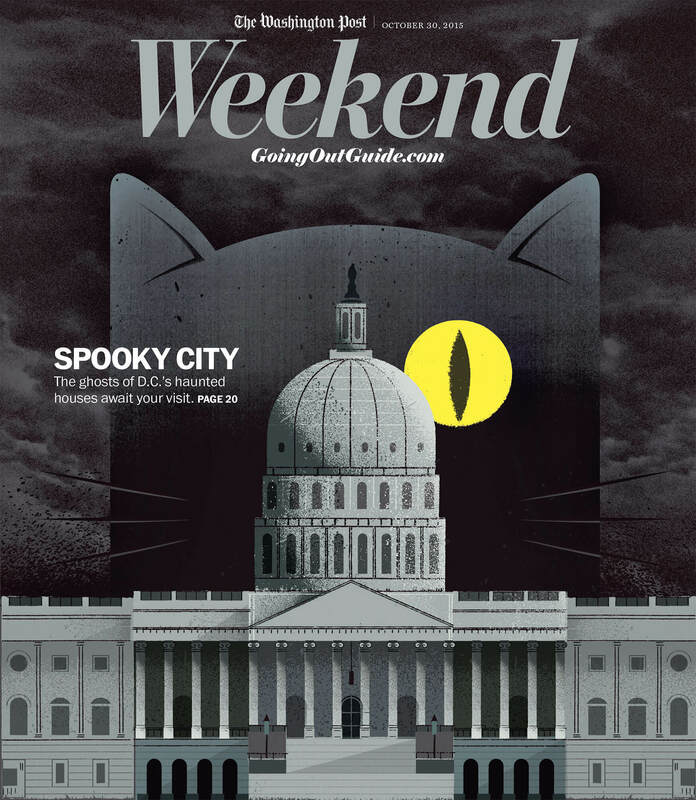 This series of illustrations were for a Halloween-themed article in the The Washington Post about different haunted locations around the DC area, which is so up my alley it’s not even funny. 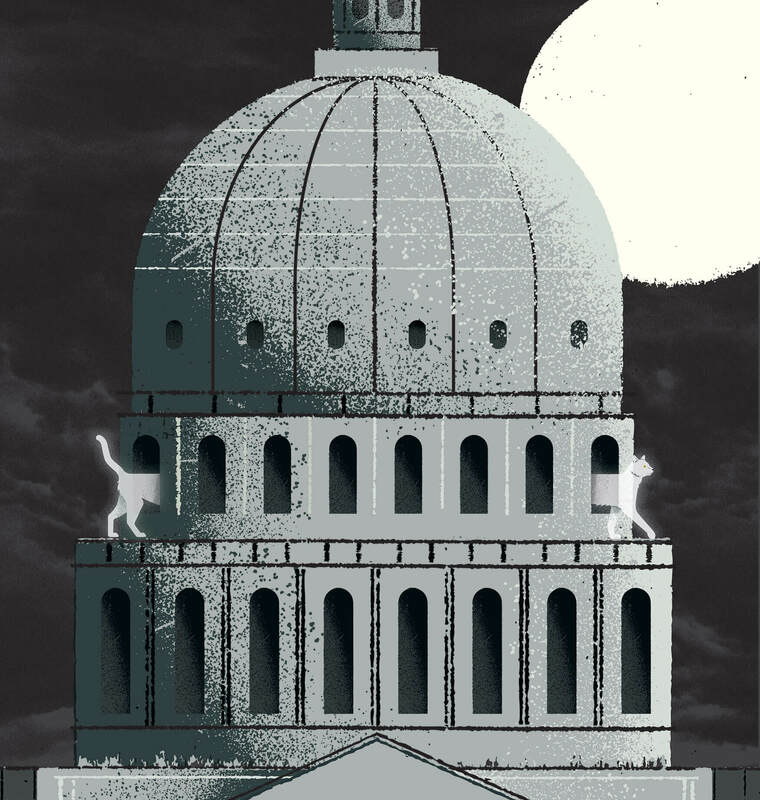 The two cover illustrations are about how the Capitol building is supposedly haunted by the spirit of a cat, so I came up with an ominous cat watching over the whole building, as well as a second image of a mischievous cat exploring places he shouldn’t be able to reach. The smaller spot illustrations feature the ghost of George Washington haunting Mount Vernon and the ghost of a dead woman haunting Gadsby’s Tavern.